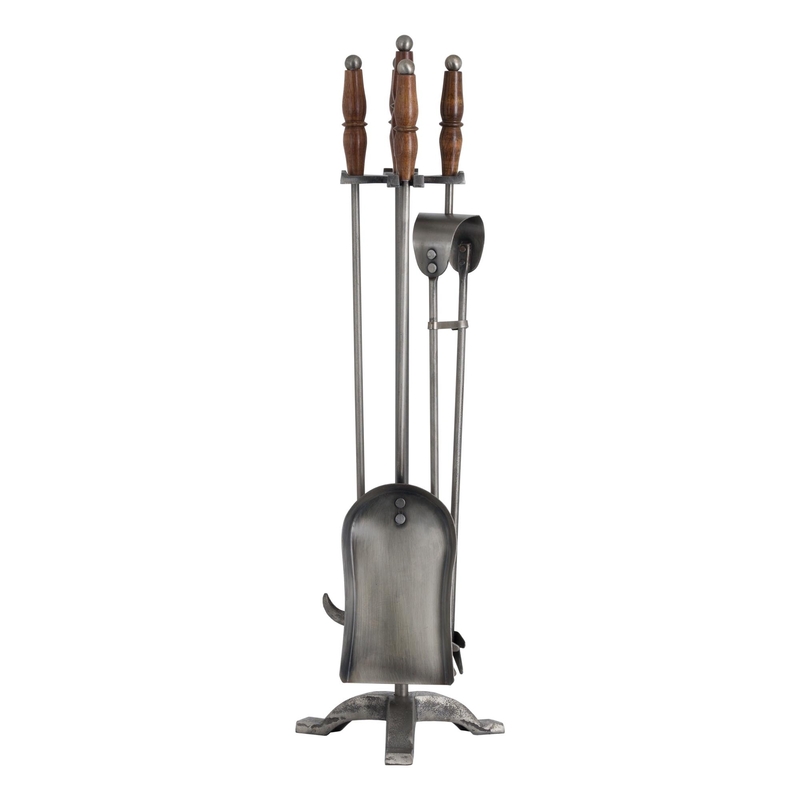 Give your fireplace some attention with this stunning Hand Turned Fire Companion Set in Antique Pewter with wooden handles. This beautiful set is made from metal and wood, and comes in a charming brown and black colour. This is a added luxury to any home with it's practical properties and traditional vintage style. Be ready to impress with this unique set.